abstract Any user on the network could access Sahi Pro via web browser and modify its configuration and settings. Check the checkbox "Enable Login"
Enabling the login feature will add a level of authentication before other people can access your script editor, configurations and reports. This will not affect distributed playbacks. 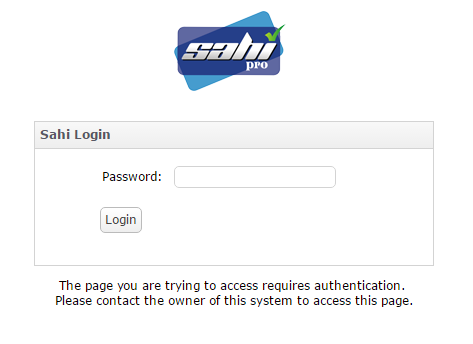 When users try to access restricted areas of Sahi Pro, they will be prompted with a login dialog. admin/password is the default User/password combination. User can change the password for admin. The remote machine has to login again if the host machine has restarted Sahi.